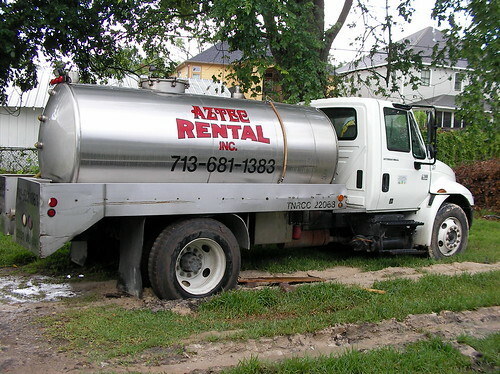 I have to be curious about what Aztec Rentals rents that truck for. Margaritas? Hmmm. What a mess. Since you asked, he was coming to clean out their porta potty. So, not only is there a stinky & full port-o-potty, but also the contents of possibly hundreds of others...that's just plain gross.